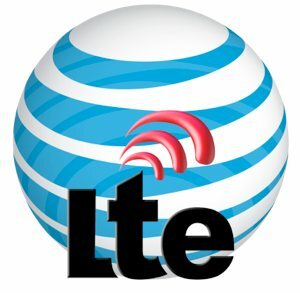 The nation’s second largest wireless carrier has turned on speedy 4G LTE service in several new markets just days before the iPhone 5 is released. AT&T has issued a number of press releases over the past two weeks making it difficult to keep track of the expansion. Residents in nearly two dozen additional cities now have access to 4G LTE wireless service and if this latest blitz is any indication, AT&T isn’t planning to slow down the rollout anytime soon. It’s good news for AT&T as they still trail behind Verizon by a significant margin with regards to LTE coverage. As of writing, AT&T’s website says the service has launched in 66 total markets covering more than 77 million Americans. It’s entirely possible that this data is outdated, however, as their interactive coverage map was last updated on August 22. Below is a list of cities that have seen the switch flipped on within the past two weeks or so. The company plans to turn on LTE service in additional cities as 2012 draws to a close. We are told that residents of Gary, Indiana; Columbus, Ohio; Grand Rapids, Michigan; Toledo, Ohio; Wilkes-Barre, Pennsylvania; Fort Myers, Florida; Cincinnati, Ohio; Allentown, Pennsylvania; Harrisburg, Pennsylvania and Lancaster, Pennsylvania will soon have access as well.